Google Nexus 4 Smartphone is one of the advanced Android based smartphone and if you're using it than you will be pleased to know that now you can Download and Install Android 4.3 Jelly Bean (Leaked Firmware) on Google Nexus 4 Smartphone before the official release from Google. Android 4.3 Jelly Bean (Leaked Build) for Google Nexus 4 contains several new and existing features and also improved performance of the device so it’s must have update for Google Nexus 4 smartphone users. The Leaked Android 4.3 Jelly Bean for Nexus 4 has same build number as the earlier leak of Samsung Galaxy S4 GPE, JWR66N. So let's start the tutorial and guide on How to Download, Install and Flash Android 4.3 Jelly Bean on Google Nexus 4 smartphone. You will need the following tools and guide before you start the tutorial. TechGlobeX is not liable for any damage occurs during the following process. So follow at your own risk. Download Google Nexus 4 Root Toolkit. 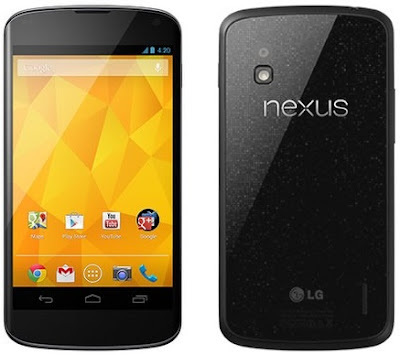 How to Flash and Install Android 4.3 (leaked) on Nexus 4? Follow the following instruction carefully to successfully installed Android 4.3 Jelly Bean on Google Nexus 4 smartphone. Step 2: Download the Android 4.3 (leaked firmware) from above direct links and Move Flashable ZIP file into the internal memory of your Google Nexus 4. Step 3: Now, Connect your Google Nexus 4 with Laptop/PC and also make sure you have installed Android SDK with configured ADB. Step 4: Reboot your Google Nexus 4 into Recovery and wipe-out cache and dalvik cache. Step 5: Now, Just flash the Android 4.3 ZIP file from your internal memory as you would do any normal one. Step 6: Once the flash process is complete, Reboot your device. Congratulations!! You have successfully flashed and installed leaked firmware of Android 4.3 on Google Nexus 4. For more details regarding this tutorial Click here.